It's the sound of the summer as Red Rocks Amphitheater brings this celebration of sunshine music will be bringing beautiful vibes in a beautiful setting, with a mighty performance from Sublime with Rome! Bringing Sublime's biggest hit's along with newer material from the collaboration, there's every reason to be there! 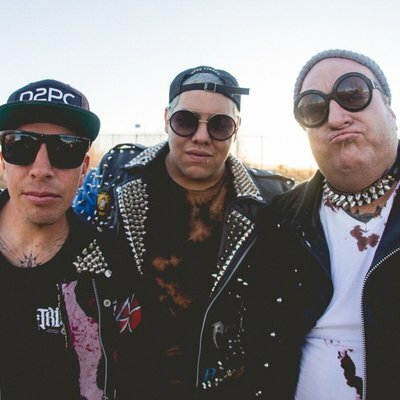 Sublime with Rome comes to Red Rocks Amphitheater on Monday 10th June 2019! The Ska-Punk rockers are more than ready for their Red Rock performance this coming summer – are you?! Sublime with Rome bring all the excitement and energy for their 2019 show as they once again transform the stage and get their fans hyped in the crowd! The music collaboration brings members Eric Wilson and Josh Freese along with Rome Ramirez to create the perfect trio, hailing from Long Beach, California, these guys sure do take the sunshine where-ever they go. Since the passing of Bradley Nowell in 1996, the original members of Sublime decided to carry on his legacy and fuse together their love for the music with Rome. Since the newly founded band, Sublime with Rome have transformed a group that plays tribute and infuses everything their fans want to experience in their shows. In 2009, the band performed at Smokeout Festival and just one year later headed to the road for a full on tour to spread the positivity across the stages. With their 2011 release of Yours Truly, they gave the world some brand new material and paved way for a new kind of career, in 2015 they were more than ready for their next release and churned out their second album together – Sirens. With plenty of festival performances under their belts, they are the perfect group to showcase it all at Red Rocks, in the beautiful open space. Come and be a part of a special night under the stars and watch the summer sun go down and the stage light up as Sublime with Rome turn the amps up and gets the crowd seeing along.